Synthecon, Incorporated is a biotechnology company that specializes in the design and manufacture of 3D cell culture systems. Synthecon’s rotating bioreactors have applications in various fields of cell culture and tissue engineering, the latest of which is stem cell culture for regenerative medicine. Marketed under the trademark name Rotary Cell Culture SystemsTM (RCCS), Synthecon’s bioreactors have been recognized by several hundred peer-reviewed scientific publications as a superior technology for growing 3D human tissue analogs. 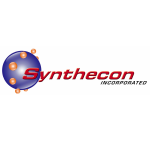 Synthecon has been the leading 3D bioreactor cell culture company in the biotechnology industry for the past 15 years. Though our technology is originally based on a NASA-developed patent for the Rotating Wall Wessel (RWV) bioreactor, Synthecon has designed and patented numerous innovations to the earlier technology. Recognizing the importance of our cell culture technology to various medical applications, Synthecon continues to be a research-driven, innovative firm, striving to meet the needs of researchers who are dedicated to curing serious illnesses and disease conditions.